Credit Suisse has tipped China as its top equity market pick in Asia for 2019, pointing to low valuations and expectations that the economy will stabilize heading into the first quarter. “If you look at the price-to earnings-ratio for the China market, it’s in a single digit. 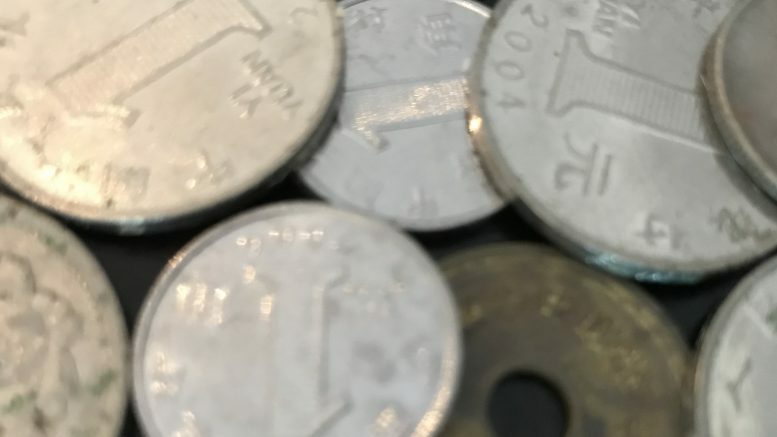 Given that China is the second-largest economy and equity market in the world, it doesn’t’ deserve this kind of valuation,” Suresh Tantia, an investment strategist and member of the Asia Pacific Investment Committee at Credit Suisse, said on Tuesday. “A lot of bad news is already in the price,” he told reporters at a briefing in Singapore. China’s CSI 300 index was trading at 9.7 times 12-month forward price-to-earnings, compared with around 14 times at the beginning of 2018, Credit Suisse data show. For the HSCEI index, it’s trading at 7.4 times 12-month forward earnings, the data showed. The Credit Suisse call came in the wake of a Morgan Stanley report earlier this week upgrading China equities to Overweight from Equal-weight. However, in the days since the G-20 meeting, signs were emerging that the U.S. side had over-hyped what actually had been agreed to, with Chinese officials failing to confirm what Trump announced and as Trump launched another of his signature, erratic tweet-storms, calling himself “Tariff Man [sic].” Chinese officials reportedly didn’t even confirm there was a 90-day agreement to put tariff increases on hold. After a request for comment from Shenton Wire, Morgan Stanley pointed to two research notes this week: One highlighting China’s new measures, announced this week and to be implemented this year, to punish intellectual property violation severely. Secondly, it noted that China eventually confirmed a 90-day negotiation period. Morgan Stanley said those developments provide support for its view that China may be willing to address structural issues that will facilitate eventual trade-war de-escalation longer term. In a note prior to its upgrade of China, Morgan Stanley had said it was looking for progress on at least one of three metrics — the trade negotiations, policy easing efforts of meaningful improvement in consumer sentiment — before it would upgrade the market from Equal-weight. Unlike Morgan Stanley, however, Credit Suisse’s positive call on China’s stocks wasn’t related to the trade talks or their economic impact. Credit Suisse was forecasting China’s gross domestic product growth would slow to 6.2 percent in 2019, from 6.6 percent in 2018. But it said it expected the trade war would only impact the composition of economic growth, not its rate. It estimated that a U.S. tariff rate of 25 percent on US$250 billion worth of U.S. imports from China would shave China’s GDP growth by 0.9 percent, but that around 0.4 percent to 0.5 percent would be offset by investment stimulus and currency depreciation. If the U.S. and China reach a rapprochement on trade, China would likely see more export growth, but the GDP growth rate likely wouldn’t be much higher, Credit Suisse said. He added that financials were a top pick, as their valuations were “extremely low,” with the top-four banks trading at 0.65 times price-to-book, compared with 0.85 times at the beginning of 2018. The top four banks also offered a dividend yield of around 6 percent, he said. This article was originally published on Wednesday 5 December 2018 at 17:24 A.M. SGT; it has since been updated with further comments from Morgan Stanley. What would happen to commodities in a US-China trade war?